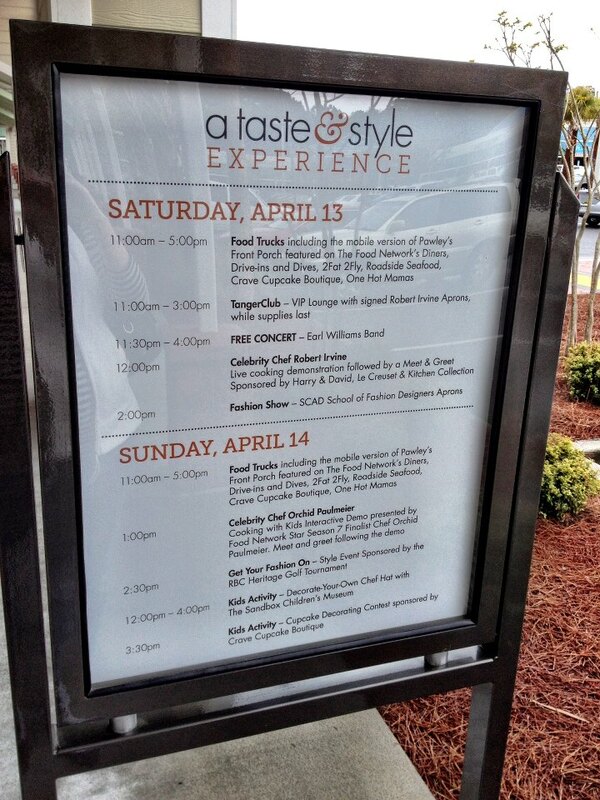 A Taste & Style Experience at the Tanger Outlets! 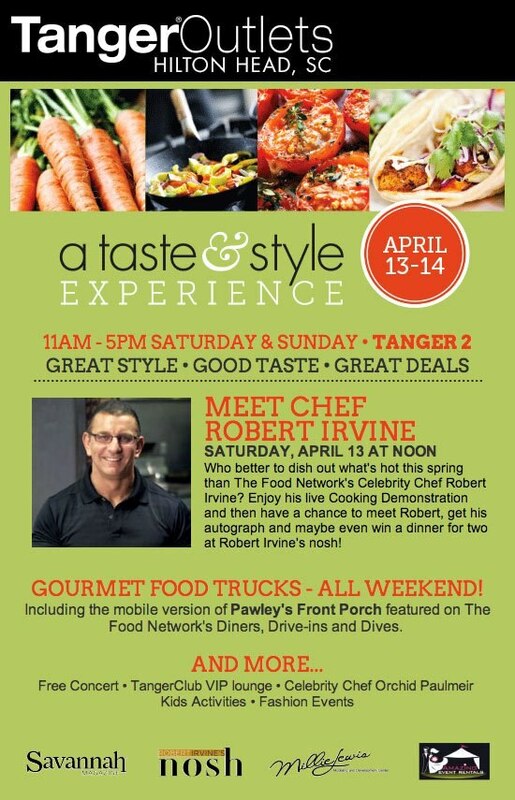 If you plan to be on Hilton Head Island this weekend be sure to check out the Gourmet Food Trucks with Celebrity Chef Robert Irvine at the Tanger 2 Outlet! This Taste & Style Experience will also feature a live cooking demonstration, a fashion show, kids activities and a free concert by the Earl Williams Band! *** The Outlets are a Beach Properties Preferred Guest Discount Partner! Taste of Bluffton Festival! — Search for Treasure with the Pirates of Hilton Head!